Contact Harriet Callis at 732-291-5838 if you would like to volunteer or donate in memory of a loved one. The Coffee hour is a wonderful opportunity for Parishioners to become acquainted and make new friends. Children enjoy playing with each other and making new friends. Join and organization or volunteer to help on a project. All are welcome. 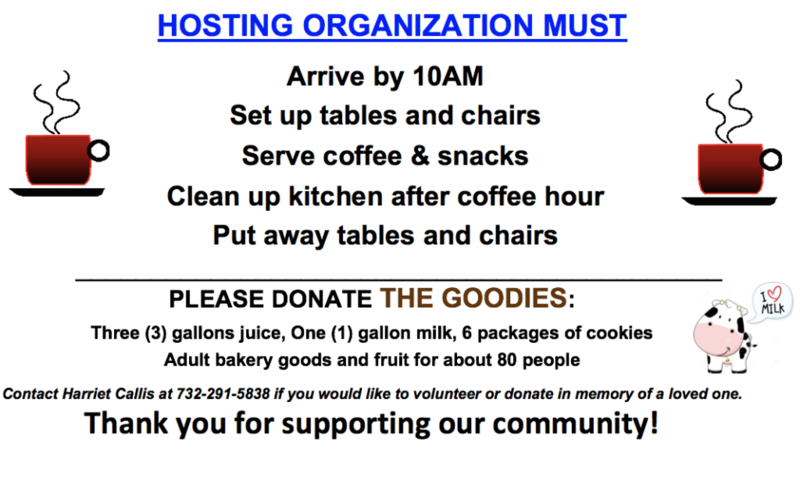 From time to time, families may also wish to host coffee hour in memory of a loved one.The host provides refreshments (see below) such as pastries, cakes, cookies, fruit, coffee, milk and juices. Contact Harriet to host a coffee hour. Set up food on tables after Divine Liturgy is over. Be sure there are enough tables/chairs for all parishioners, especially for large turnouts. The gym will not be open during services. Please keep in mind Lenten observance for our coffee hour fellowship. Children’s snacks of pretzels, nuts, raisins, chips, etc. 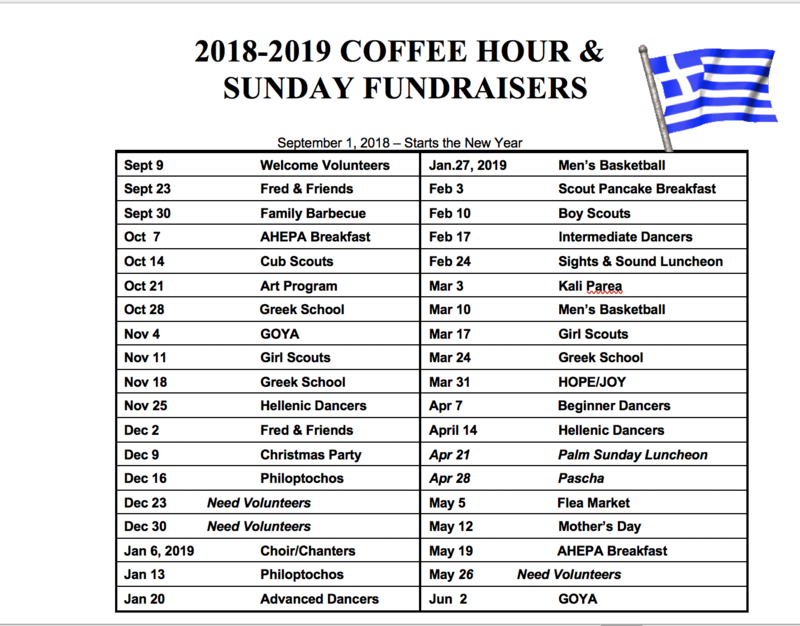 The Kimisis Parish Council has requested that only the group hosting Coffee Hour run their fundraiser on their particular Sunday. 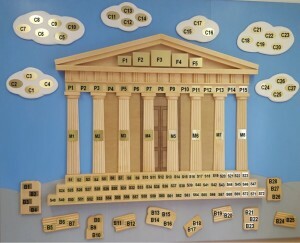 Indoors, the fundraising table shall be located only in front of the Tree of Life in the Community Center. Any Church Organization requesting a Sunday fundraiser must call Harriet Callis at 732-291-5838. July and August are times when it’s nice to bring a cake with you when you come to Church. Coffee and non-perishable milk are in the Church kitchen. Contact Harriet Callis at callis@aol.com if you would like to volunteer or donate in memory of a loved one.